Designed for use with hammers and other DIY tools, the Portwest Left Handed Hammer-Safe Gloves A796 use a special reinforced thumb crotch and index finger to ensure exceptional impact resistance. This, combined with a comfortable liner, high abrasion resistance and impressive dexterity, make these gloves highly reliable during periods of extended use. The Portwest Hammer-Safe Gloves come in two different designs, one with special protection around the thumb and index finger on the left hand, and the other on the right hand. The A796 Gloves come with protection on the right glove, making them ideal for those who are left handed. 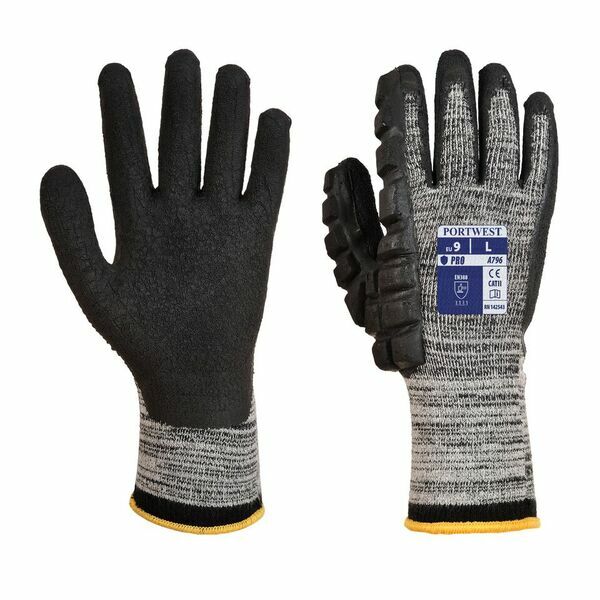 For those who are right handed, the Right Handed Hammer-Safe Gloves A795 may be better suited to you.